One of the biggest irritations for motorists – and one of the most damaging to cars – is the dreaded pothole. Every day, South African motorists face the risk of tyre and rim damage caused by potholes, damaged roads and road construction. Apart from posing a serious threat to the safety of motorists, hitting a pothole has the potential to damage crucial vehicle components such as tyres, rims, shocks and mags – which will set you back financially if you choose to get your vehicle repaired. It’s reported that approximately 6 out of 10 cars taken to a tyre centre in Gauteng alone, were damaged as a result of potholes. In addition to this, the number of vehicles taken in for tyre replacements is now reported to have more than doubled compared to three years ago. 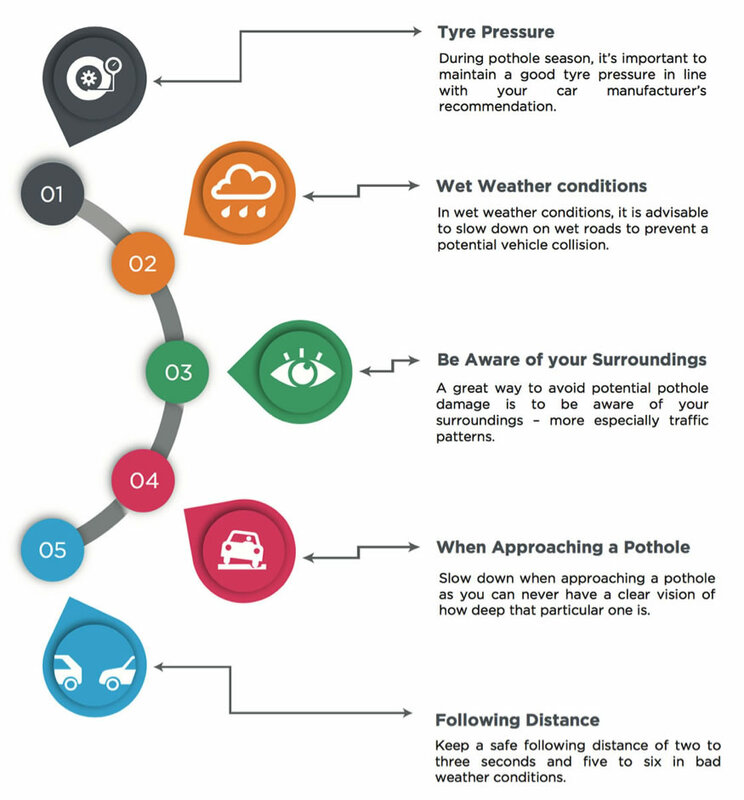 The reality is that no matter how careful you are, as a motorist, you can’t avoid pothole problems entirely, and with the recent spell of heavy rains in certain parts of the country, you can expect potholes to be around for some time.